Thanks for sharing this article. I'm heading to the school's website and find out more info. Loving the new blog Scott! Glad to be able to follow you here as well as through Twitter. I do have a slight disagreement with one of your statements. I'm not sure that laptops--at least the current iteration of laptops--deserve the "mobile" moniker. I'd agree that they're portable, but that is essentially different than mobile, at least in the current sense of the term mobile learning. Laptops simply port your desktop work to another location. You still need wi-fi or ethernet support and probably a place to recharge. You don't walk around the classroom teaching with a laptop--you're essentially confined to a single spot. Laptops (mostly) are not aware of where they are geographically and can't return information to you based on that data. Laptops simply move the desktop metaphor to a new location, but they don't offer you the pocket or purse immediacy of learning anywhere anytime, at least compared to smart phones and tablets. I think we'll see a significant amount of convergence in those areas--we're already seeing it in OSX Lion--but it will be laptops that make the most adjustments to mobile learning. I'm questioning whether or not I actually need a laptop anymore. I have a powerful desktop, an iPad, and an iPhone. When I'm not at my desktop, I use the latter much more than I use my laptop. Just because you can move it doesn't make it mobile. We're starting a mobile learning initiative this year in our school of ed. It might hold some interest to you. http://soemli.pbworks.com. I'll add your blog to the resource list. As a mom of 4 and former teacher, I am excited and optimistic about this trend. My kids use a variety of mobile devices at home, along with a computer, to complete their school work and extend their learning. My husband and I also operate a website that enables kids & teens to manage their money and have found that our mobile version is very popular with kids & teens. 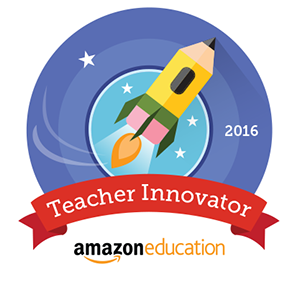 I am thrilled that there are teachers (like you!) and school systems who are utilizing the educational opportunities with mobile technology. Hope you keep us updated on the progress! Skip, I agree with you on your thoughts on the laptop not truly being mobile. Thank you for sharing your Mobile Learning Initiative. 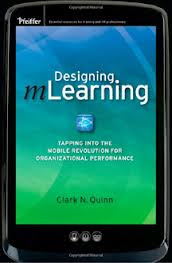 I look forward to finding out more about your Mobile Learning program. Welcome to the blogosphere. You are so lucky to work where they "get" it. Don't make the kids turn off as they walk into our rooms, instead let's use all that tech to teach them in ways that they want to learn. I am so grateful to have a set of net books for my students. We have so much fun learning everyday whether we're sitting at a desk or doing on investigation outside. We can carry our devices with us whenever we are learning. So pleased to see this. 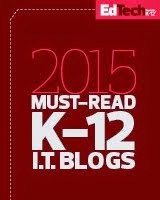 My own school is piloting BYOD this year and I am very excited to see how it evolves. Just wanted to stop in and say good luck- I know you'll do great things with it. We're doing a lot of stuff like this as well at my school and it's a great learning experience for all. 450 kids, 350 ipod touch's, 229 laptops/netbooks, and we're gonna start piloting BYOD (anything they've got, basically) this fall. Very exciting times! Love your new blog! Thanks for sharing this. I'm planning to start using iPads in class (5 for 20-30 students) this fall. There's a lot to learn from you! Thanks for bringing the use of MLDs to the forefront. 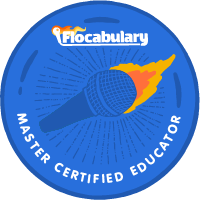 I wholeheartedly agree that there is a place for these tools in the classroom. What we should be doing now is teaching MLD digital and social responsibility. Sidebar: A funny thing happened during an IWB presentation with college students recently. There were looks of surprise on their faces when they were asked to take out their phones and use them to provide instant feedback via Poll Everywhere. The site looks good, Scott! Looking forward to following your new blog. When it comes to mobile learning, our district is all over the map. For example, we have one school where every single student has either a district-issued iPad or netbook. Across town at another school in our district, some students are lucky to get 20 minutes in the computer lab once a week. I wish our district would allow students to BYOD, but we're a long way away from that. I'm plugging away, trying to be a catalyst of change. That's why I joined our PD website committee. We're trying to create a vibrant online resource for teachers - by teachers. Thanks for sharing your pearls of wisdom. Good luck! Keep up the good work! Thank you for all of the kind comments! 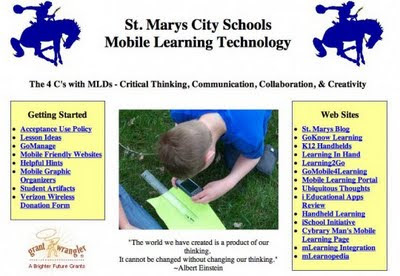 I am looking forward to sharing my experiences about mobile learning. Great blog. However, I think the quintessential Mobile Learning Devices are, in fact, smartphones. This is especially true in countries like mine, in which tablets are not affordable to everyone and carriers charge too much for a 3G service. 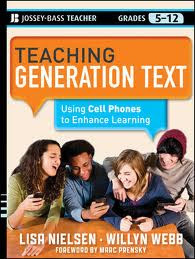 My students and I work with smartphones. They integrate their social abilities to content. Unmotivated ones have become motivated.